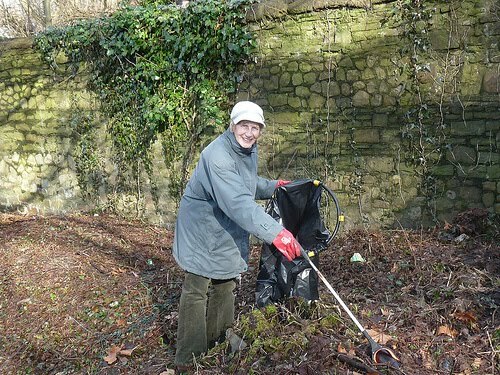 As part of the Tidy Towns Project, volunteers rolled up their sleeves on Sat 20th February to tackle rubbish that was strewn along banks of the River Taff and in the woods in Pontcanna fields. 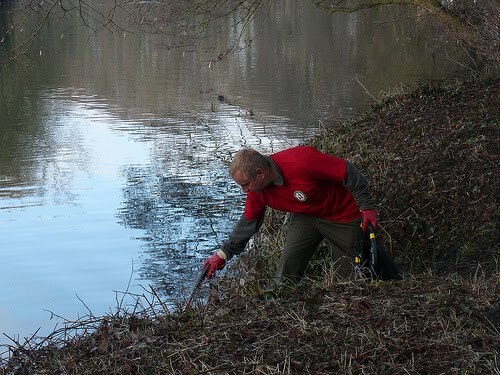 Eight volunteers from Cardiff Rivers Group collected 27 bags of litter which Cardiff CC disposed. 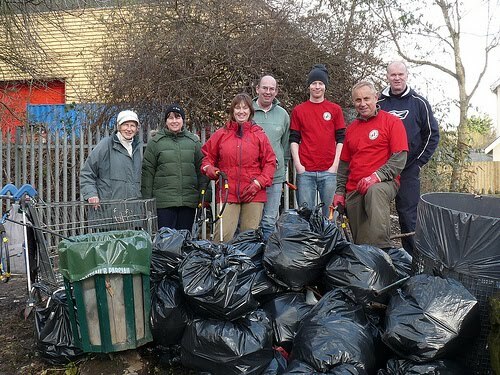 Cardiff Rivers Group was formed in 2009 as part of the Tidy Towns project, a partnership between Keep Wales Tidy and Welsh local authorities. Funded by the Welsh Assembly Government it supports the people of Wales to improve the quality of their local environment. The group has recently been awarded a grant from Keep Wales Tidy and FREE insurance cover. £539.28 has been secured by the group which has enabled them to purchase their own stock of equipment and tools. 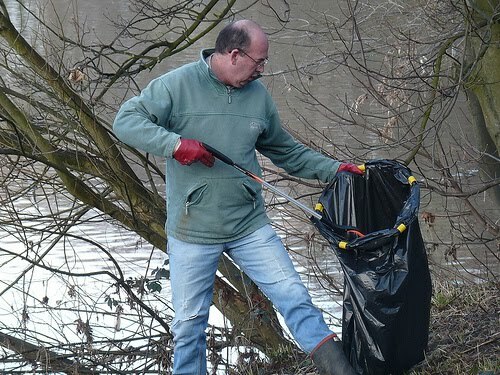 The money has been used to buy litter-pickers, small hand tools, health and safety equipment, grappling hooks and other necessary items for their practical projects. This equipment was used for the first time on Saturday. The group are always looking for new volunteers, so if you would like to lend a hand, please contact Louise Tambini on 07824 504790 or email louise.tambini@keepwalestidy.org. The groups’ next event will be on Sat 20th March.